Singer, composer, Rock’s musician and philosopher with a lot of articles, books and conferences and with a beautiful mixture of Irish, Danish & Catalan roots on his ancestry, his style displays this melancholy-rover temper so typical from the northern landscapes. 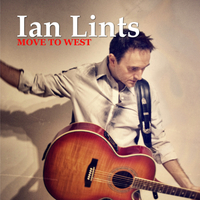 After several works running on different bands and projects, in July 2016 releases his first solo album “MOVE TO WEST”, with 14 songs immersed in stories about simple lives. Deep thoughts and songs about misfortune sometimes, daily battles to reach a better life and a worthy job, or the quest to the perfect and truthful love. Which could happen to anyone in any part of the world. But more particularly about daily lives of any person in the large America. In that same way of work, in the fall of 2017 releases “31 LENGTHS” a new song dedicated to the radio stations and broadcasters from all around the world, and more specially dedicated to the radio station from the town where he lives. Just another of this songs talking about daily lives and quotidian stories that he really feel close to him.